Now great super saving, many products reduced and some gear over 40% off. Specials on so get great products at great deal for Easter and Anzac while stock's last and save get booked in for a installation. Over 36 years in trade. Call for help on ph 09 377-7716 main line. Easter Deals and Anzac on now. Call us now for free advice on your car system, some products on sale with a free mobile installation service in Auckland and Hamilton. We do reversing camera systems, backing warning systems, blue-tooth products and we do Car audio systems see our other site www.autoaudio.co.nz for audio or call us 09 377-7716. Vehicle Cam Recorders recoding systems, we do many models, easy to use and great security if ever needed. We have some on sale. Reversing camera kits super sale specials on top quality product, incudes choose of colour mirror monitor, 170 deg angle camera with grid line display for distance, from as small amount and installed at our workshop, this is great special but limited stocks left and see behind your vehicle for safety now. Special Builders and plumbers' vans or carrying goods there is a super alarm specials, due with the amount of theft at the moment, these vehicles are targeted for tools etc so discuss your vehicle needs with us, we do many fleets or one off's. We do most add on electrical gear for vehicles i.e spot lights, light bars, air horns, extra lighting etc so ask as about what you are wanting to do, we also do installation of gear customers have. Call us now for any free advice on Ph 09 377-7716 now to discuss your requirements, Mobile installation service in Auckland and Hamilton metro area's, see some of our special below. Very-well known brand and proven system with basic coverage. Super Special installed price for only $339.10 plus gst, a great deal save $100.00 , call us now. Also get a free battery backup siren but you have to say you have seen this on our website for a extra special value deal of $45..00 inc gst free installed when booking tell us you have seen this on our website. [while stocks last] valued at $150.00 inc gst. Vehicle lights on warning, Dash Mounted LED, Override Switch, Indicator Confirmation, Chirp Confirmation, central locking interface optional -extra. Note: some vehicles may need extra door motor for remote central locking option, this can be discussed at time of quote and priced to suit vehicle for central locking option. Mongoose warranty and with a full Free mobile installation service in Auckland and Hamilton metro area. Note: some European vehicles may apply a surcharge. IT WILL NEVER BE CHEAPER SO CALL US NOW. Free Mobile installation service on our alarm units, we come to you at no extra charge in Auckland and Hamilton Metro area. Mongoose alarm M60B series Model, Star rated for insurance requirements. One of our best sellers and great security coverage. Covers boot, bonnet, doors, two stage shock unit for impact to glass and towage, two engine immobilizers, flashing light on dash board, standard siren, built in turbo timer and by pass options, window warning stickers, two new three button remote controls, full diagnostic system. Lots of program options but easy to use. One of our top sellers and so user friendly. SUPER VALUE SPECIAL, tell us you have seen it on our web site to receive this special. All optional extra additional price i.e central locking, motors, ultra sonic detectors etc. Note. some vehicles may require extra door motor for some factory central locking. Central locking option is a extra cost. Mongoose three year warranty and we have a free mobile installation service on our alarms in Auckland and Hamilton metro area on this alarm. Note: some European vehicles may apply a surcharge as time to do and parts needed extra. UNBELIEVABLE VALUE, SUPER BUY at the moment !!! Best buy ever now on while stocks last. or sensors for movement inside your vehicle at extra cost. We bulk buy so you get a Super sale special get now !! Save a over a massive SAVE over 43% off, A amazing great deal while stocks last this is real madness. Note: optional extra's like cental locking is extra cost depending on vehicle and parts needed to make it work. Call us on Ph 09 443-7766 get a price for the installation of this alarm unit into your vehicle now, free mobile service in Auckland and Hamilton metro area. This is a four star rated alarm unbeatable value. Note: some cars may require extra door motor for central locking option. The Steal Shield three year warranty and full Free mobile installation on our alarms in Auckland and Hamilton metro area. With over 20 years in market this product is well tested. Mongoose Alarm / Dual Immobilisers M60G Model and M60gnz Mongoose model alarm. Covers boot, bonnet, doors, glass guard detector, M60g only shock sensor, two engine immobilizers, battery backup siren, flashing warning light, warning stickers, two new three button remote controls, bypass turbo timer option also turbo time if needed and many other optional extras like remote central locking or add other sensors for movement inside your vehicle at extra cost. Note: some cars may require extra door motor for central locking option extra. M60g Special only $462.77 installed plus g.s.t, save while stocks lasts. M60g Typical srrp $649.00 inc g.s.t, saving on this now new pricing. M60gnz with limited stock, on special deal, 5 star rated, super special $409.32 installed plus gst, while stocks last. The Mongoose M60 models have three-year warranty and full Free mobile installation service on our alarms in Auckland and Hamilton metro area. Immobiliser Map80g upgade alarm Model, Mongoose alarm uses factory vehicle remotes. 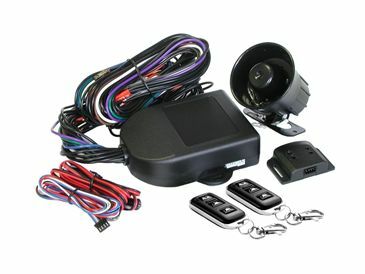 Covers boot, bonnet, doors, glass guard detector, shock sensor, two engine immobilizers, battery backup siren, flashing warning light, blink's indcators or lights,warning stickers, bypass turbo timer option, diagnotic system buit in, emergency over ride pin system or add other sensors for movement inside your vehicle at extra cost. Note: Uses the factory car remotes you have already. The Mongoose M80 models have a five-year warranty and we offer a Free mobile installation service on our alarms in Auckland and Hamilton metro area. Covers boot, bonnet, doors, glass guard detector, two engine immobilizers, standard siren, flashing warning light, warning stickers, two remote controls and many other optional extras like remote central locking or add other sensors for movement inside your vehicle at extra cost. Note: some cars may require extra door motor or extra gear for central locking option extra. Yes we do have stock. The Dynatron D3600 three year warranty and full Free mobile installation service on our alarms in Auckland and Hamilton metro area. Covers boot, bonnet, doors, shock sensor, two engine immobilizers, battery backup siren, flashing warning light, warning stickers, two remote controls, bypass turbo timer/ t/timer option and many other optional extras like remote central locking option at extra cost. Special only $439.20 installed inc g.s.t, Save 20% off while stock last. NOTE: Now has a tilt sensor with this alarm as well for no extra charge. Covers boot, bonnet, doors, glass guard detector, shock sensor, three engine immobilizers, battery backup siren, flashing warning light, warning stickers, two remote controls, bypass turbo timer/ t/timer option and many other optional extras like remote central locking option at extra cost. Special only $599.20 installed inc g.s.t, Save 20% off while stocks last optional extras extra. GPS tracking system's, starts from $199.00 inc gst for gear, we have many models and makes depending on your requirement. Gps tracking deal, great unit we use this in our vehicles from personal to fleets small or large. Many tracking units to pick from, like prepaid models with no monthly charges as well. Many people are going this way and with an alarm to stop theft out of vehicle or being able to track the vehicle. Recommended for high risk cars like Subaru, Nissan skylines, Holden v8 and Ford v8 or all vehicles carrying any goods and tools etc. We are getting great results with tracking with stolen cars being tracked and vehicles recovered so call us know and ask about our tracking options. We use this on our own vehicles also being to track staff on the road helping you keep in touch to what people are up to and were they are..
call us and tell us you are on our website and get a special deal on this unit. Plus, installation cost call for a quote now and monthly free of from $30.00 inc gst for real time tracking. There are other plans which give you more information etc so call explain your needs and we can give you advice. This unit is one of the cheapest systems around and we us on our vehicles, great and easy to use. We have many brands and different options with great prices, we have done GPS tracking since it came to New Zealand single units and fleets so call us talk to us. This was one of our tracking systems we had installed for a customer so it does work. A car owners global positioning system (GPS) unit helped police track a stolen car in Auckland overnight. Police were told a Nissan Skyline had been stolen from an address in the Auckland suburb of Mt Albert about 4am. With the help of GPS coordinates given by the car's owner police tracked the three offenders to Royal Oak. The offenders fled the scene sparking a pursuit which police were forced to abandon due to speed and weather conditions, police said. After avoiding road spikes in Onehunga the car was found, again using GPS coordinates, abandoned in Mt Wellington. The three offenders were later found with the help of a "resourceful" police communicator. We also do Car phone kits like Parrot, Stereos with bluetooth options and hold many dash fitting kits, aerials, looms etc. see our link to Audio site. Phone us now and talk about what you are wanting or get advice or make a booking for your item to be installed. Hamilton Ph (07) 839-3395 or E-mail us with your enquiries. Let us help you get the right vehicle alarm system to suit your needs. Call us as many alarm's and gear on sale. We do not take short cuts and guarantee our install for the time you own the vehicle.